I think as kids, there are two strokes we learn pretty quickly during swim lessons. The first is the freestyle. 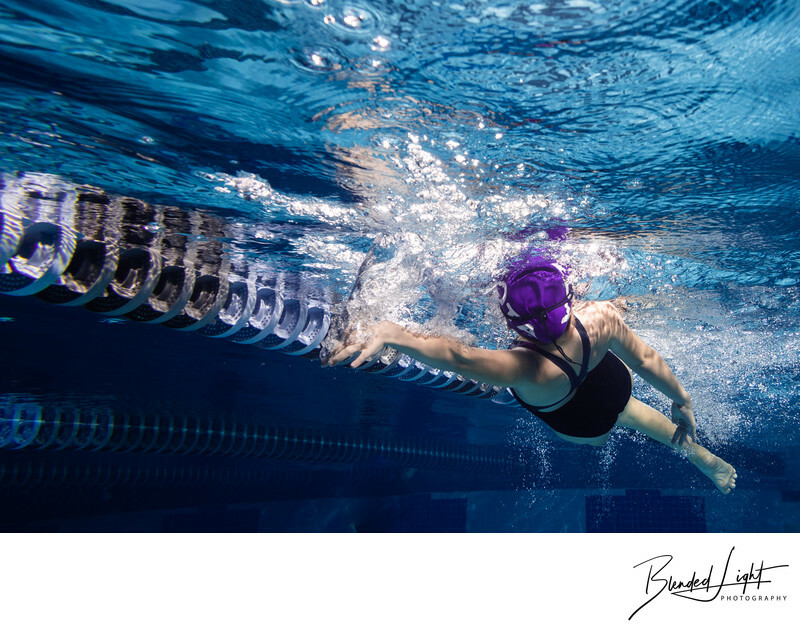 Freestyle is the basis for anything else you learn in swimming as it requires to learn to breath, learn to float, learn to kick with your legs and feet and learn pull yourself smoothly through the water. A close second is backstroke. We take what we learned in freestyle, reverse our arm movement, flip to our back and roll along. As a bonus, we get to breathe while we do it - at the expense of being blinded by the sunlight if we're outside or hitting our hands on the lane lines with no warning. But the beauty of the backstroke is often missed because attention is focused mostly on the arm and leg movements. It's simply a graceful "roll" that allows for those sweeping arm pulls. A gentle opening up of the body to the side that is pulling, creating a glide through the water. You see it in this image. Reaching back with her left hand, the swimmer has opened her body up to allow maximum stretch and reach. This roll is normally only seen in two ways - from above the swimmer, the most common view, and from below the swimmer, as above. It took me awhile as an underwater photographer to figure out how to really capture the beauty of the backstroke given that it was the only one with no facial connection. But once I got it, the beauty and grace became evident and the images exceptional. If you are interested in booking your own session, email me and I'll be glad to talk with you and get things rolling! 1/250; f/5.6; ISO 200; 24.0 mm.